Last week pupils took on the roles of kindness detectives to raise awareness for Children’s Mental Health Week. Each child in the school was given the name of someone in their class and embarked on a secret mission to do something kind for that person during the course of the week. Acts of kindness included helping their classmates tidy their lockers and carry their bags as well as sharing pencils and helping each other in class. But it was not just the children who took part, as school staff also got involved in the week-long incentive too. Staff received letters of encouragement on their desks, had their favourite sandwiches bought at lunch and some even received bunches of flowers. Other activities throughout the week included dress as an emotion day, exercise sessions and a brilliant parent talk from Place2Be outlining the effects of social media on mental health. KS is proud to have been the first Independent Private Day School to implement Place2Be onsite – the leading national children’s mental health charity. 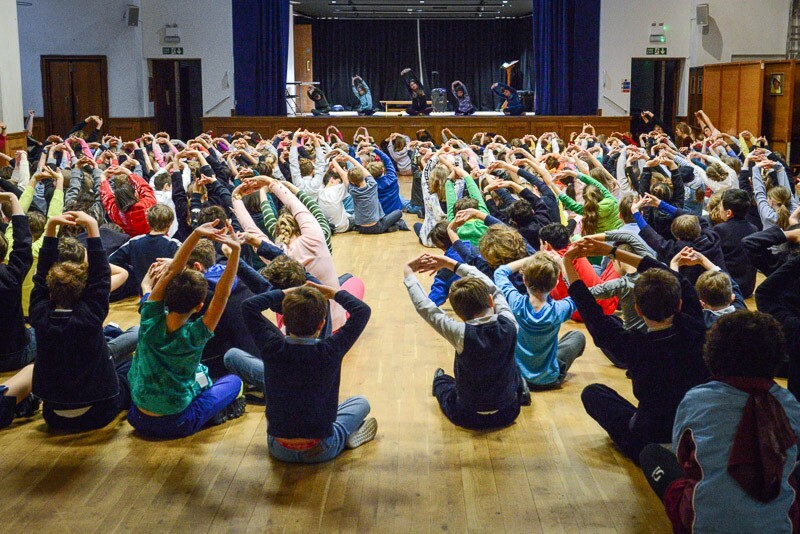 On Friday the whole school participated in a yoga and wellness session, run by ‘Happy at Heart’ yoga to round off a successful week which left smiles on all the pupils faces!